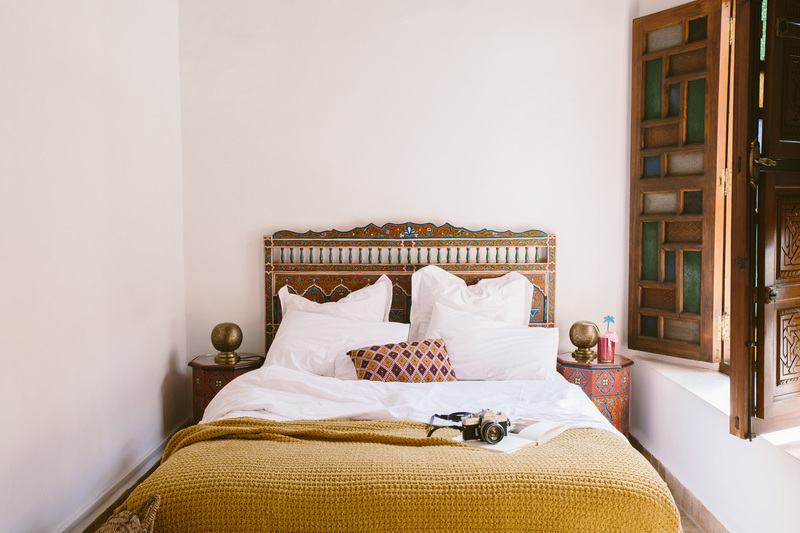 Bohemia comes to life inside the opulent walls of Riad Jardin Secret in Morocco’s Marrakech. As its name suggests, the hidden oasis is tucked down a quiet alleyway amid the city’s bustling Medina. Paris-based creatives Cyrielle Rigot and Julien Tang revived the six-bedroom bolthole, which can be hired in its entirety from €1,800 per night, or by the room. 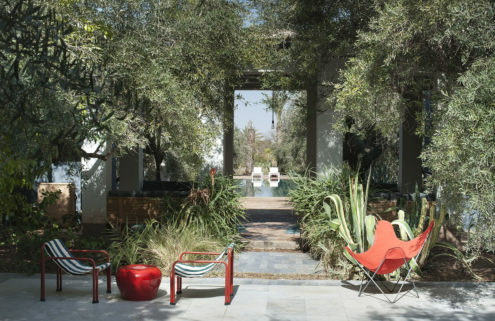 The duo has carefully restored the early-20th-century Marrakech home by rejuvenating its colourful mosaic tiles and stucco walls, while drawing on their experience in fashion and design to give its interiors a 1970s-inspired spin. 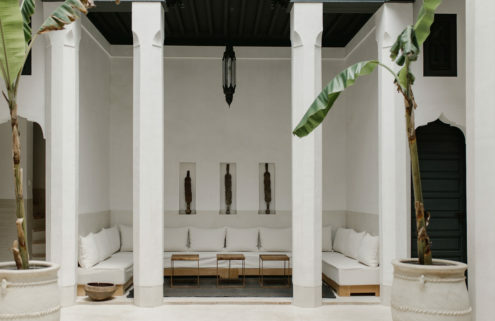 As with traditional riads, the courtyard is the epicentre of the Moroccan holiday home, and a large fountain holds basking turtles and large palms. Up above, the sun-drenched rooftop terrace is home to a vegetarian restaurant helmed by hometown Chef Mohamed. Though open to the public at lunch, the restaurant is reserved for the exclusive use of guests in the morning, who can enjoy views over the nearby Koutoubia Mosque and the Atlas Mountains in the distance as they tuck into their avocado toast. Rooms are all about the details: tall ceilings are hand-painted with ornate patterns and furnished with handmade objects. 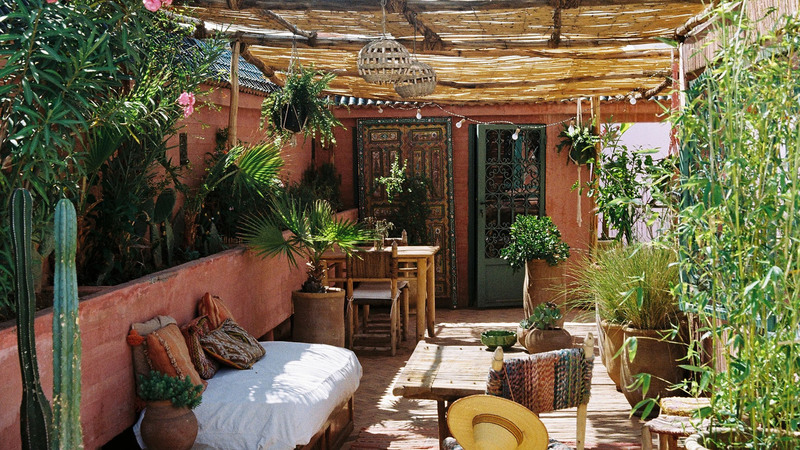 (A boutique store inside the riad showcases locally-made objects, from carved spoons to kilims and leather goods.) Bathrooms are also decked in Zellige tilework. 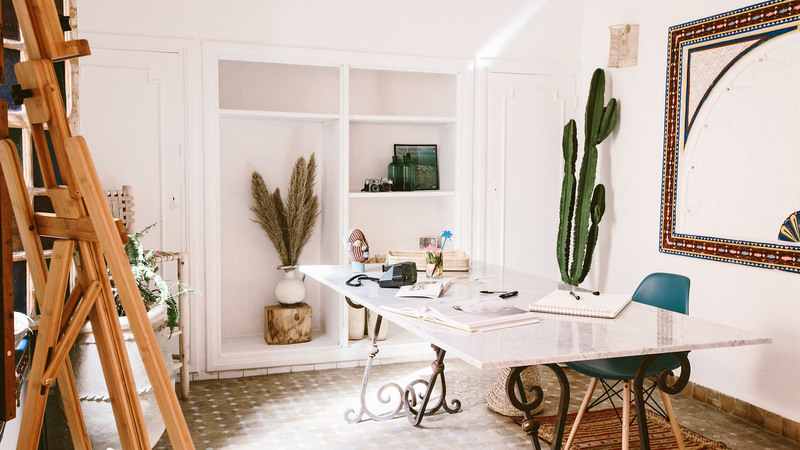 In keeping with its bohemian spirit, Riad Jardin Secret hosts an artist-in-residence programme, inviting creatives to be inspired by the city.